Thanks to the down-ballot drag of GOP presidential nominee, Donald Trump, there is a very real chance that Democrats could send the Republican controlled House packing in November. Thanks to the down-ballot drag of GOP presidential nominee, Donald Trump, there is a very real chance that Democrats could send the Republican-controlled House packing in November. Without a doubt, it would be the best thing that ever happened to this country because it would finally put an end to the gridlock. There was almost no such thing as gridlock until Republicans took control of the House in 2010. And the minute they are kicked out of office, the undemocratic rule of the gerrymandered House that has caused so many Americans to hate Congress, would be over. The Tea Party ideologues, better known as the Freedom Caucus, would no longer be able to threaten to default on the nation’s debt over some ridiculous religious law, or whatever other bit of insanity they want to shove down the throats of the electorate. However, it’s not time to start jumping up and down with joy just yet. Currently, Democrats hold 186 seats in the House; Republicans have 247, and 2 seats are vacant. If voters flip 30 seats from red to blue, our Ayn Rand-loving Speaker Paul Ryan, would return to being little more than an obnoxious congressman from Wisconsin. Although flipping the House is something of a long shot, it’s not impossible. Data from recent elections indicate that very few voters split their tickets, voting for one party in the presidential race and another down the ballot. If this pattern holds, presidential performance will be intricately linked to how House candidates will fare this November. If Hillary Clinton can pull off a landslide victory against Donald Trump, which at the moment seems possible, Democrats could end up controlling the White House, and both houses of Congress. Short of taking control, Democrats put a big dent in the GOP House majority. While this would not be ideal, it would go a long way toward neutering the government-hating paralysis Republicans get their thrills from. Let’s face it, Republicans have never been interested in doing anything positive for the people that vote for them. The only masters they serve are the donor class. They had their chance for 8 years, and they have nothing to show for it but a frustrated and angry electorate. It’s time to send at least 30 of them to the unemployment line. And when they get there, maybe they should also be branded too ‘lazy’ to be eligible for food stamps. This heartwarming story is told through the eyes of an animal spirit that has been sent back to earth in the body of a small dog. His mission is to help a young woman discover that their destinies are more connected to the powers of the Spirit World than either of them ever imagined. If you’ve ever shared your life with a dog or any other pet, you will never look at them the same way again after reading this book. 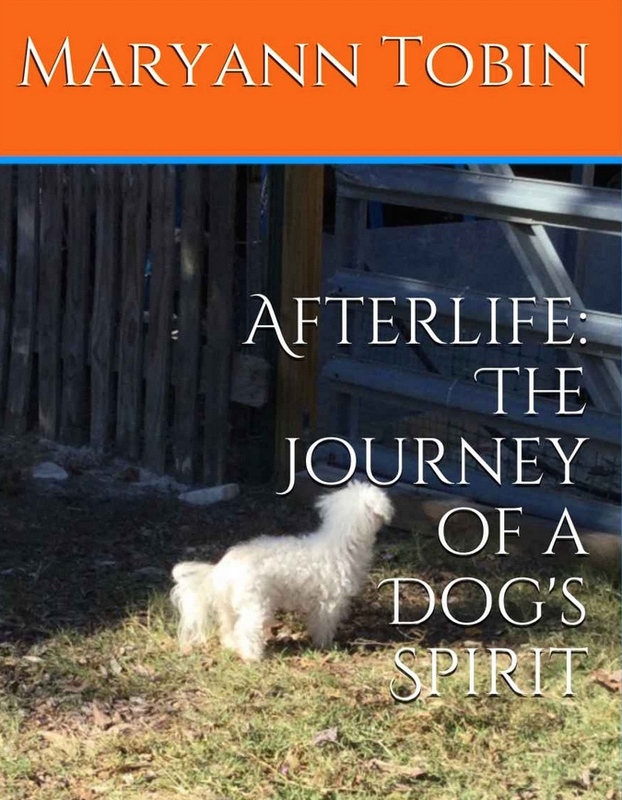 Afterlife: The Journey of a Dog’s Spirit is available now on Amazon.com.